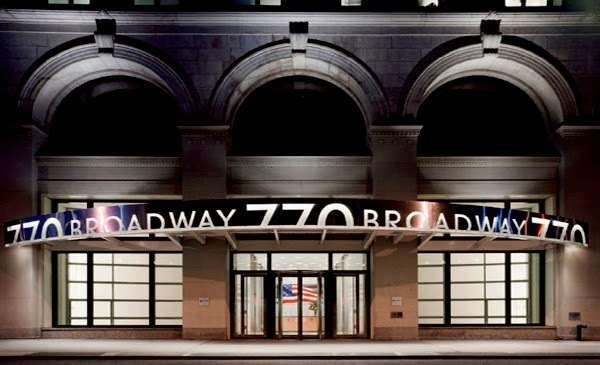 FaceBook just moved into the new office, 770 Broadway on Monday, February 24.The new office, situated on two floors, is 100,000 square feet. Facebook now has 320 employess in New York. Three years ago, Facebook employed just 80 in New York. Facebook looking to hire more engineers, recruiting from local schools like NYU , Cooper Union and beyond. New office was designed by Frank Gehry- american architect who is credited with popularizing deconstructivism.Vanity Fair in 2010 labeled Frank Gehry as "the most important architect of our age". Deconstructivism in architecture was born in the late 80s of the twentieth century. Deconstructivism explores fragmentation and distorts the walls, roof and interior volumes. The structure of the building has a feeling of controlled chaos and stimulating unpredictability. 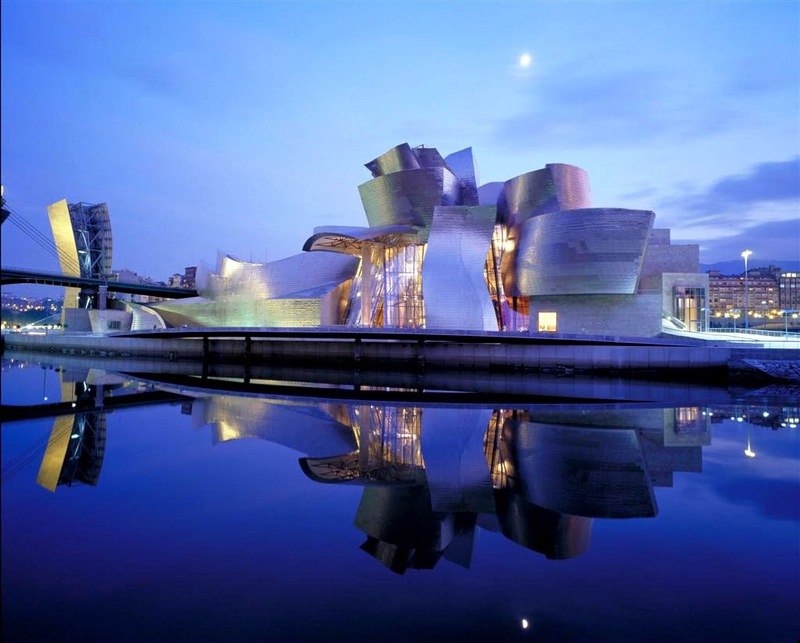 The most spectacular example of the deconstructivism style is Frank O. Gehry’s titanium-clad Guggenheim Museum at Bilbao, Spain. Frank Gehry was born in Toronto in 1929 and moved to California in 1949. 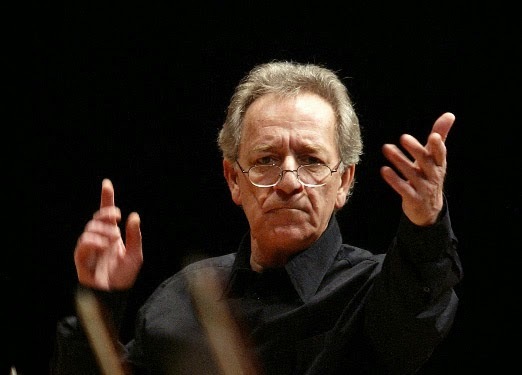 His parents were Polish Jews. Frank was given the Hebrew name "Ephraim" by his grandfather. 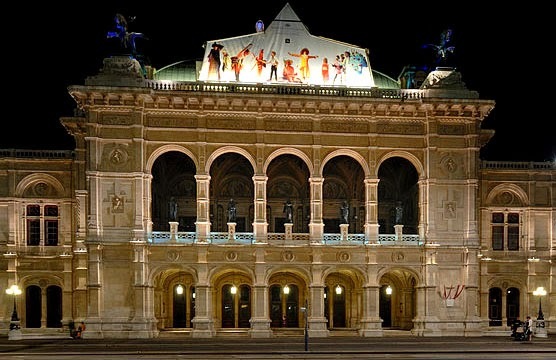 A number of his buildings, including his private residence, have become world renowned tourist attractions. There are not so many deconstructivist buildings in New York City. I know only two- both built by Gehry. 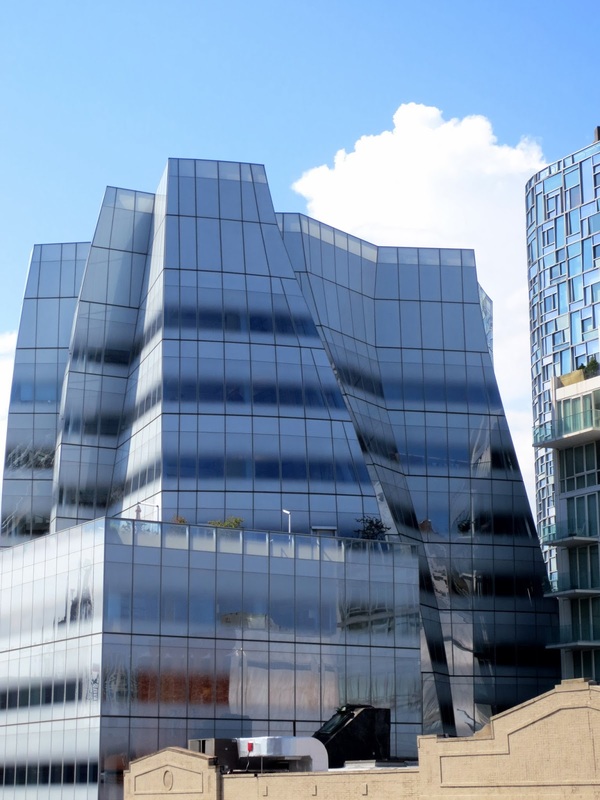 In 2007 the architect built IAC Building, on 555 West 18th Street, in Chelsea area of New York City. You can look at the building from the HighLine - the newly open park. 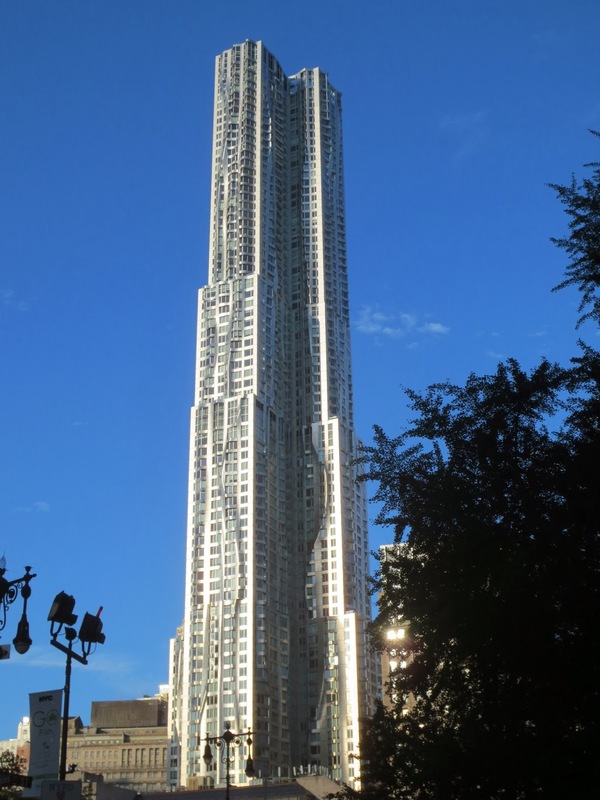 In 2011 Gehry built "New York by Gehry" - a 76-story skyscraper at 8 Spruce Street in Lower Manhattan, south of City Hall Plaza and the Brooklyn Bridge. It is the 12th tallest residential tower in the world and the second tallest residential building in the Western Hemisphere ( the first one is One57 on West 57 in Manhattan- read about it in one of my posts ). The tower contains more than 800 residential rental units, a rarity in New York’s Financial District. Available studios and one-bedrooms rent for skyward of $3,700 a month and three bedrooms for $11,975 and up. For the ultimate elite, there are three penthouse apartments, which will go on the market for $40,000, $45,000 and $60,000 a month. The first five floors of the 76-story tower house the new Public School 397, the entrance of which is separated from the residents’ entrance on the west, so the streams of children arriving and lawyers and bankers leaving for work do not have to cross. 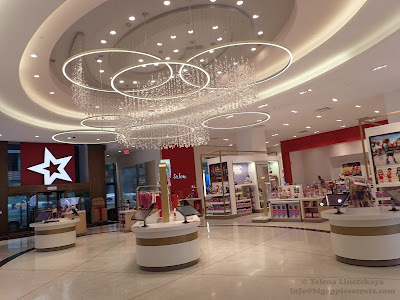 The building also has an ambulatory care facility for New York Downtown Hospital and a ground-floor retail space. There is a 50-foot swimming pool on the seventh floor, which has glass doors, leading onto a deck, that are left open in the summer. There is a children’s playroom, with toys and a puppet theater, and a “tweens’ den,” with multicolored plush furniture and a Wii. There is a large gym, yoga and Pilates studios, and a spinning room with 20 bikes. There are also two golf simulators. In 2014 Frank Gehry will design a new skyscraper in Berlin, Germany that will be the capital city's tallest residential building. In addition to designing over 30 existing buildings, Gehry has distinguished himself with a handful of furniture designs, created throughout his career. 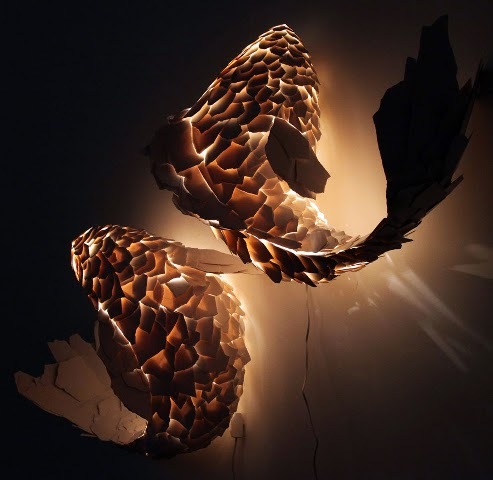 Gehry also designed a series of Fish Lamps using "color core" formica, which are now in private and museum collections. If you’d like to see ancient Egyptian temple or obelisk you do not need to buy expensive tickets and book a hotel in Cairo. 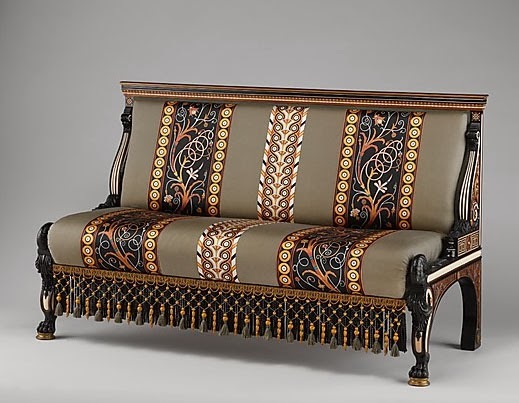 Egyptian artifacts are spread throughout the world in numerous museums. 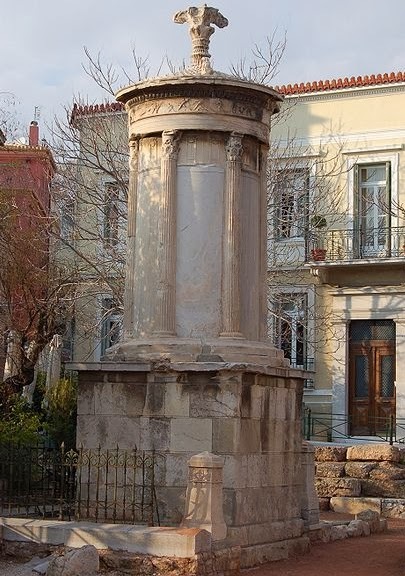 More than one obelisk was carried off from its original locale to grace the grounds of a foreign country. Temples too can be found in the US, and several European countries. You can go to Metropolitan Museum in New York and see the beautiful sandstone temple of Dendur standing in the middle of a bright huge hall. The temple of Dendur is a very early Roman Period temple built during the rule of Augustus who ruled Egypt between 30 BC and 14 AD. Originally, the Temple stood on a wide, stone built platform on the left bank of the Nile about 50 miles ( 77 kilometers) south of Aswan. It was dedicated to Osiris, Egyptian god of the underworld and of vegetation and his wife Isis. 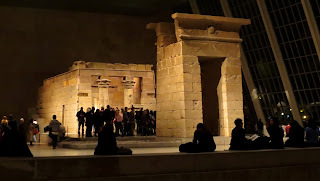 Egyptian temples were not simply houses for a cult. The temple in Egypt was an image of the natural world as the Egyptians knew it. 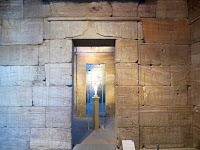 That’s why we can see papyrus and lotus plants at the temple base and image of the sun above the gate. The original reliefs were painted red, blue, green, yellow and black, from archaic descriptions, but those colors were washed away after the first, smaller Aswan dam was built. In the 19th century, graffiti was left on the temple walls by visitors from Europe. 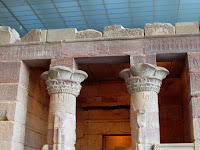 The Temple of Dendur was one of several monuments of antiquity threatened with permanent submersion by the construction of the Aswan high Dam in Egypt. 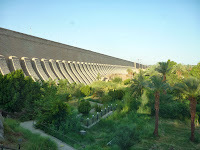 The Dam was constructed between 1960 and 1970, and has had a significant impact on the economy and culture of Egypt. In June 1956 the Soviets offered Nasser $1.12 billion at 2% interest for the construction of the dam. The Soviets also provided technicians and heavy machinery. 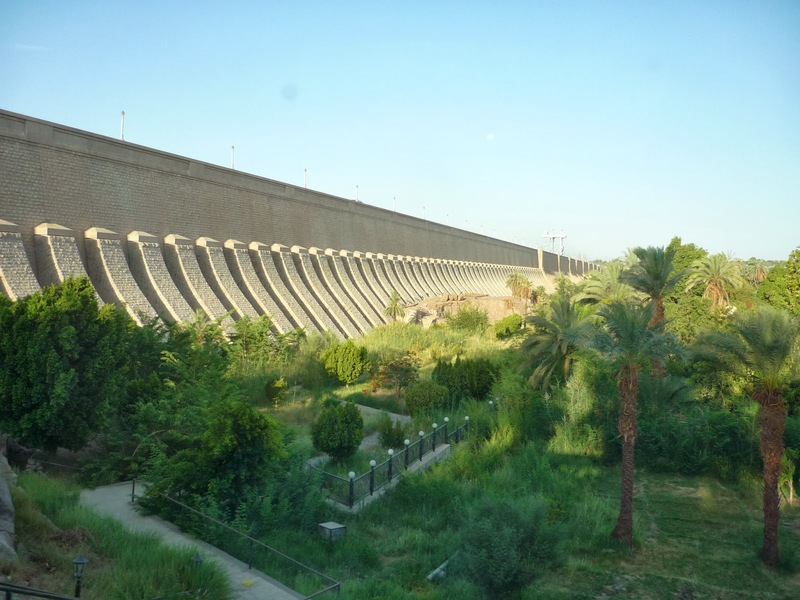 The dam was designed by the Soviet Hydroproject Institute along with some Egyptian engineers. Work on this massive project was begun in 1960; the Dam was officially opened in 1970. Nikita Khrushchev called it "the eighth wonder of the world". The High Dam increased the country's irrigated area by a third. The dam flooded a large area, causing the relocation of over 100,000 people and submerged archaeological sites. Egypt had requested aid from the world’s nations in saving some its most precious monuments. In 1960 UNESCO made an international call to save this rich historical legacy. 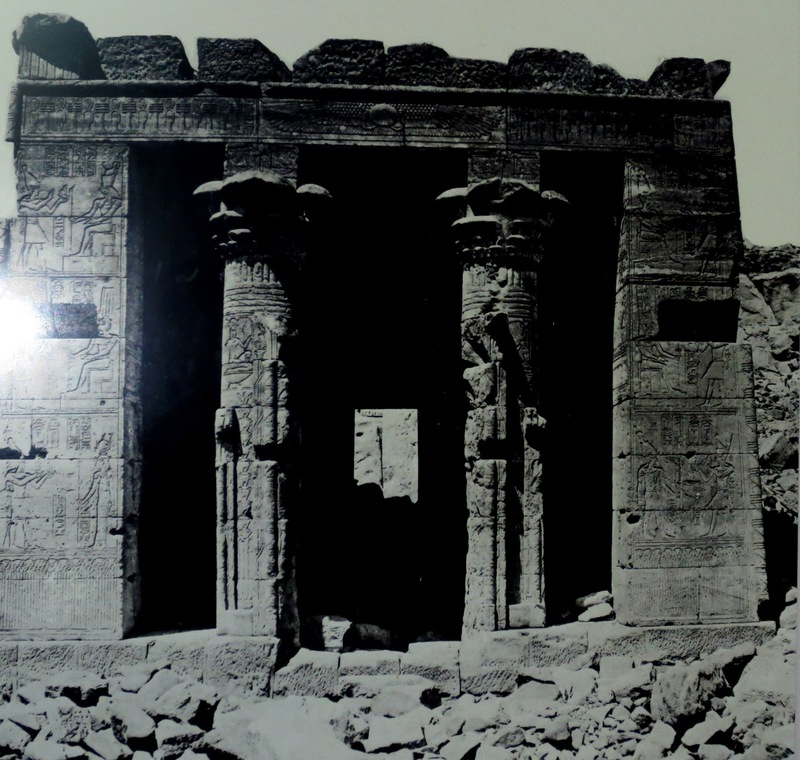 22 monuments and architectural complexes, that were threatened by flooding from Lake Nasser were preserved by moving them to the shores of Lake Nasser. 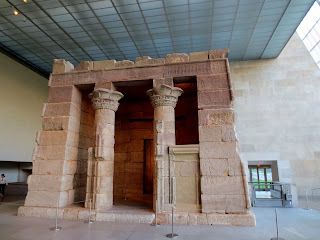 As a sign of gratitude for the help Egyptian state donated the temple of Debod to Spain , Temple of Taffeh to Germany and temple of Dendur to US. 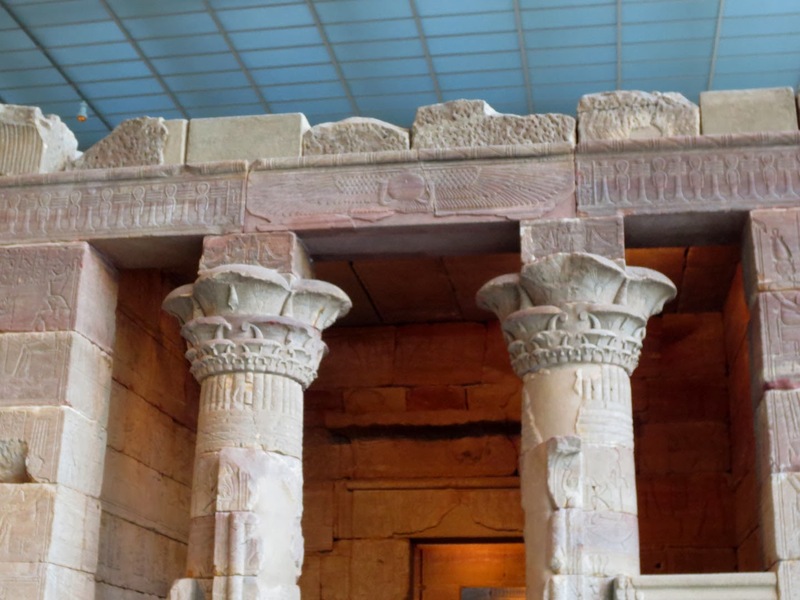 The temple of Dendur was removed from its original site in 1963. The stone blocks of the temple weighed more than 800 tons in total. They were and transported to the United States. 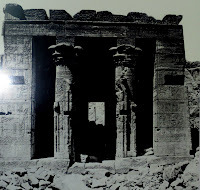 Several institutions made bids for housing the temple, in a competition that was nicknamed the "Dendur Derby" by the press. There were plans to re-erect the temple on the banks of the Potomac River in Washington, D.C ( as Jacquelyn Kennedy proposed) or on the Charles River in Boston. But weather conditions are different in Egypt and US. The temple's sandstone would have suffered from the outdoor conditions. 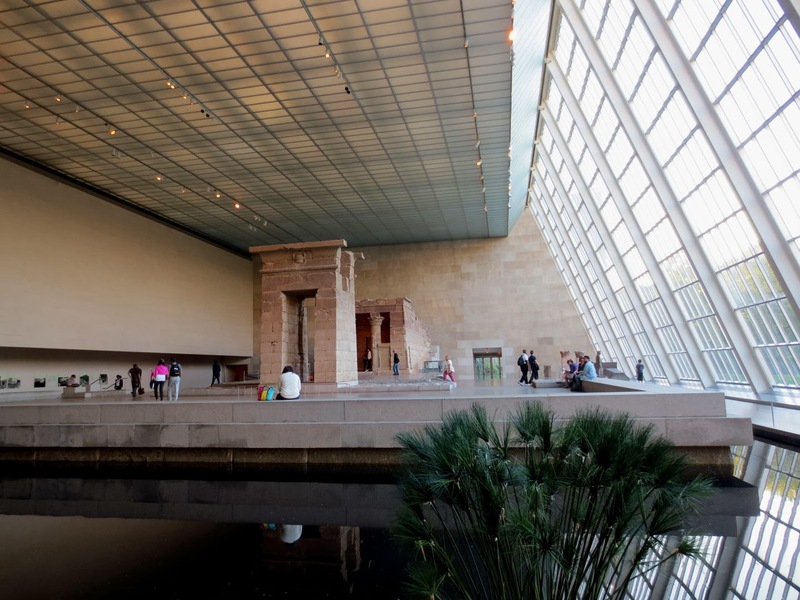 Finally, on April 27th, 1967, the temple was awarded to the Metropolitan Museum of Art. 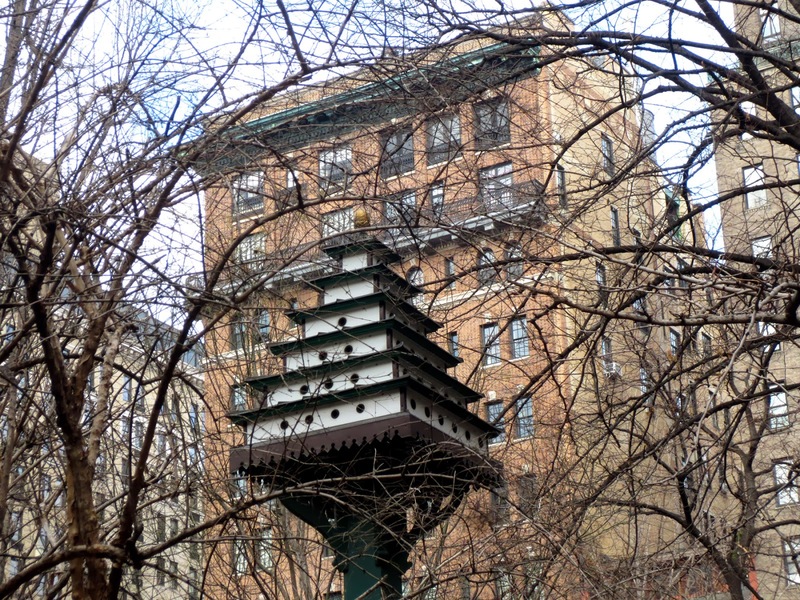 Met asked the city for $1.68 million dollars to re-erect e temple. The temple arrived and was housed in a bubble - the first air -filled structure ever approved by the building apartment. 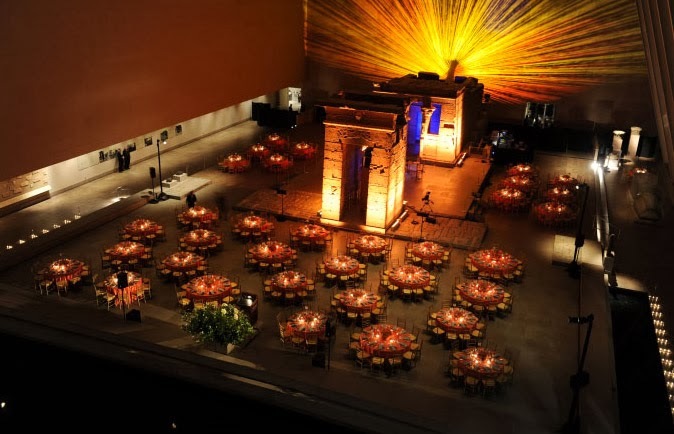 Since September of 1978, the temple has formed the Sackler wing of that museum. There is a reflecting pool in front of the temple and a sloping wall behind it, represent the Nile and the cliffs of the original location. 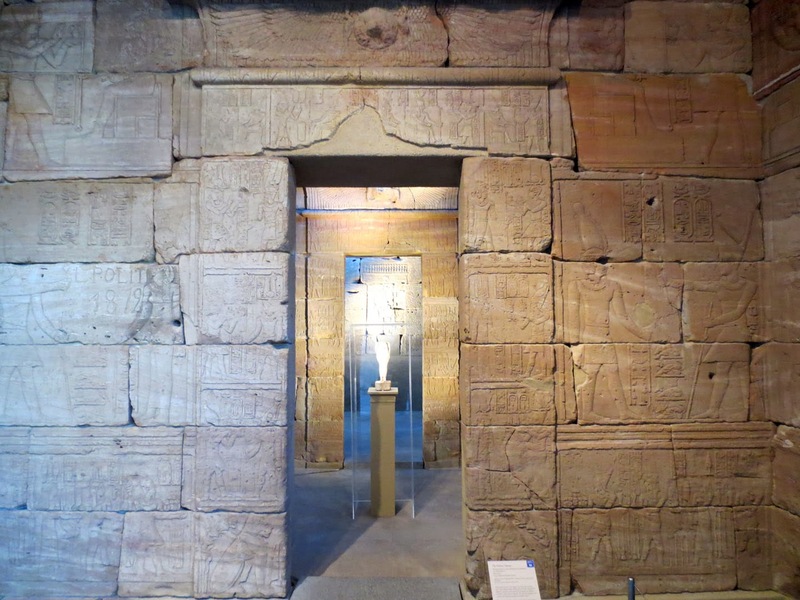 The glass on the ceiling and north wall of the wing is stippled in order to diffuse the light and mimic the lighting in Nubia. Before 1994 museum visitors were not permitted closer than 30 feet from the temple entrance and were even forbidden to stand on the stone slab of the temple's forecourt. The Office of Special Events of The Met Museum is available to assist with every detail, creating memorable events if you'd like to have a party near The Temple of Dendur in The Sackler Wing of the museum. 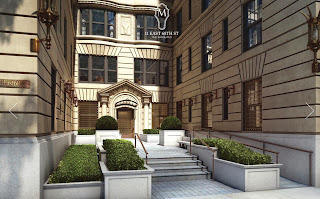 San Remo - one of the most exclusive coops in Manhattan. 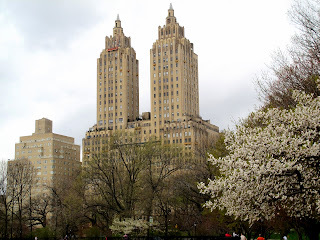 The San Remo (145 and 146 Central Park West) is a 27-floor, co-operative apartment building in Manhattan located between West 74th Street and West 75th Streets. 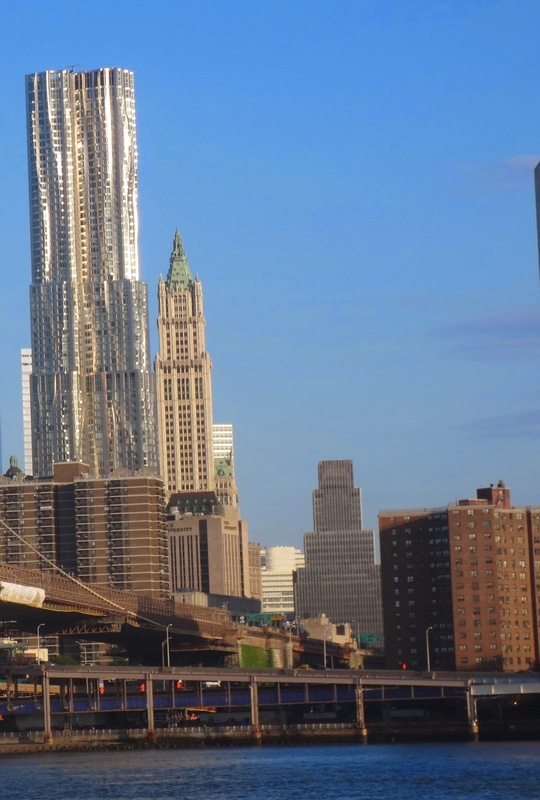 It is the first twin-towered building to rise in New York. 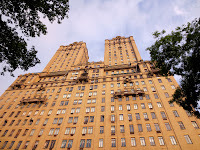 Past and present residents of the building include Steven Spielberg, Donna Karan, Demi Moore, Dustin Hoffman, Bruce Willis. Steve Jobs bought and renovated a penthouse apartment but never lived in it.﻿ The San Remo sits on the location that was previously occupied by a hotel of the same name. 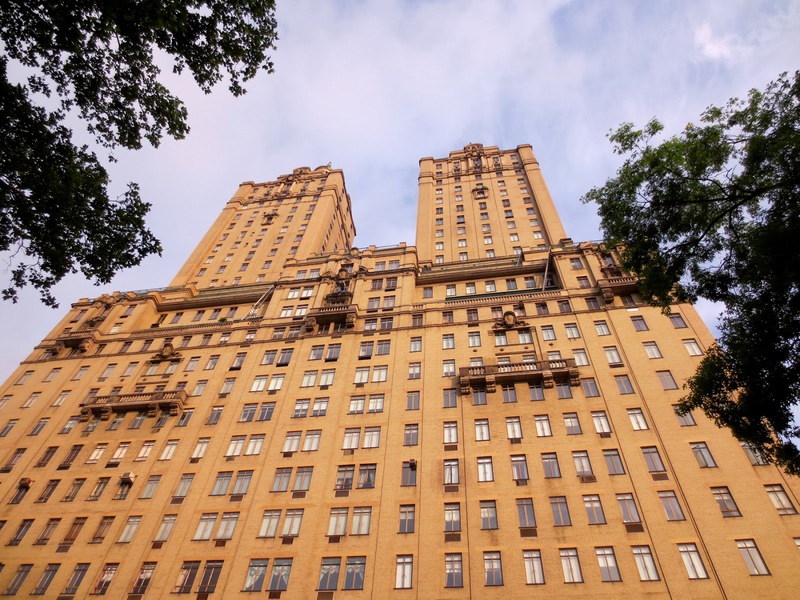 In 1940 the most expensive apartment in the twin towered Art Deco masterpiece was rented for $900 a month by a stockbroker . Another, with room for a family of five, plus the requisite cook, butler and maid, rented for $540. In February 2013 one of the apartments was listed for rent with the asking price is $29,750 a month. Nationally, according to U.S. inflation data, since 1940 rents have risen 1,014 percent, so they have gone up about 11-fold. In New York the increase is of 2,787 percent—close to twice the rate of inflation. The legendary Emery Roth, of Emery Roth and Sons, was the architect behind the design of the San Remo. Construction began in 1929, weeks before the market crashed, and took approximately two years to build it. Emery Roth was born to a Hungarian Jewish and emigrated to the United States at the age of 13. During the years between the first and the second World wars Roth's firm built some of the most famous coop building in New York such as Beresford and Eldorado on Central Park West and Ritz Tower on Park Avenue. 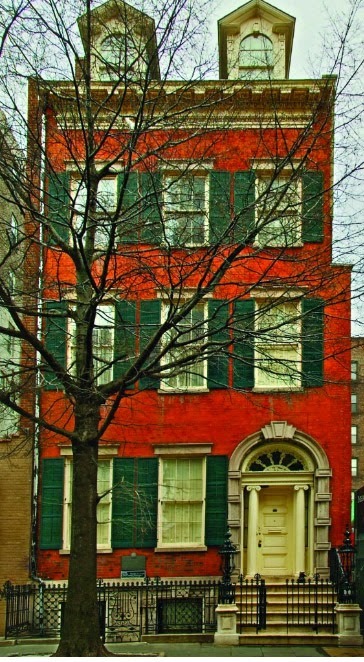 When he died in 1948, he left a remarkable legacy of over 250 apartment buildings in New York City. There are two towers of 10 floors each in San Remo emerging from the lower 17 floors of apartments. Originally designed to conceal water tanks, Roth’s towers eventually evolved into a major element of his designs. The Great Depression left more than a quarter of the units unoccupied. 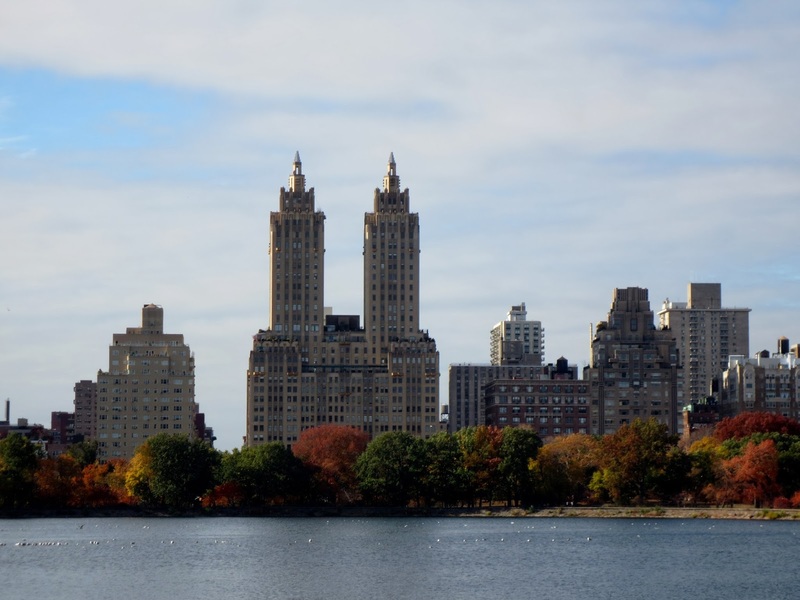 In 1940, the San Remo and the Beresford at 211 Central Park West, completed by Emery Roth in 1929, were sold for $25,000—total—over their existing mortgages. The building has been a privately owned co-op since 1972. The board did turn down an application from Madonna in 1985—presumably because of her paparazzi following. There are 138 apartments in the San Remo now, although the number fluctuates as apartments are combined or split. The North tower has one apartment on each floor. With its better views of midtown, the South tower was considered more desirable and was built with duplex apartments. Units are in very high demand and generally cost no less than $2.5 million dollars. As of January 2014 there are two available apartments for sale - three bedrooms from $6,495,000 and five bedrooms from $7,595,000. In 2004 election, the San Remo was the single most giving address to Democratic causes. In 2012 New York Times reported that residents of the building have donated $395,000 to Romney's campaign and just $112,000 to Obama's. A San Remo couple, Kevin and Karen Kennedy, gave $105,000 to the Romney side. On December 23, 2013, philanthropist Robert Wilson committed suicide by jumping from his 16th floor apartment in the South Tower. Central Park West filled with some of the most famous residences in New York City( and San Remo on the list) form the Federally designated Central Park West Historic District that runs from 61st to 97th Streets along the western edge of Central Park. 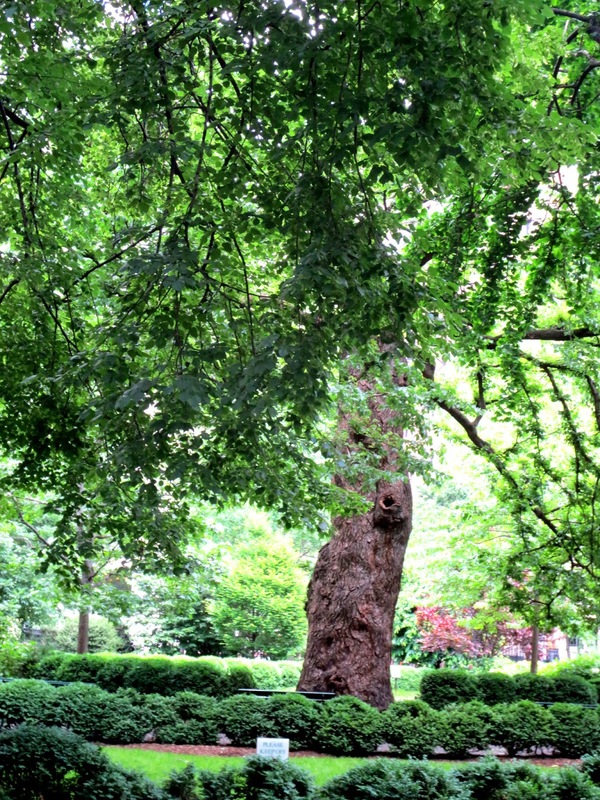 Gramercy Park, the only one privately-owned park in Manhattan. 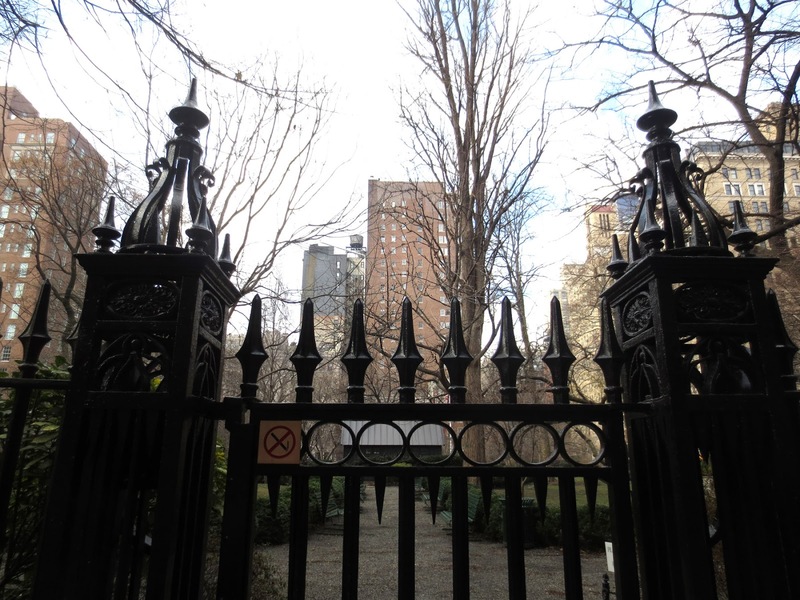 On December 17, 1831 a deed by the real estate developer Samuel Ruggles established the plot of land between 3rd Avenue and Park Avenue South from 18th to 21st Streets as Gramercy Park. The fence appeared two years later and the original still stands. The construction on the surrounding lots did not begin until the 1840s. The park was locked since 1844, the same year its trustees held their first formal meeting . 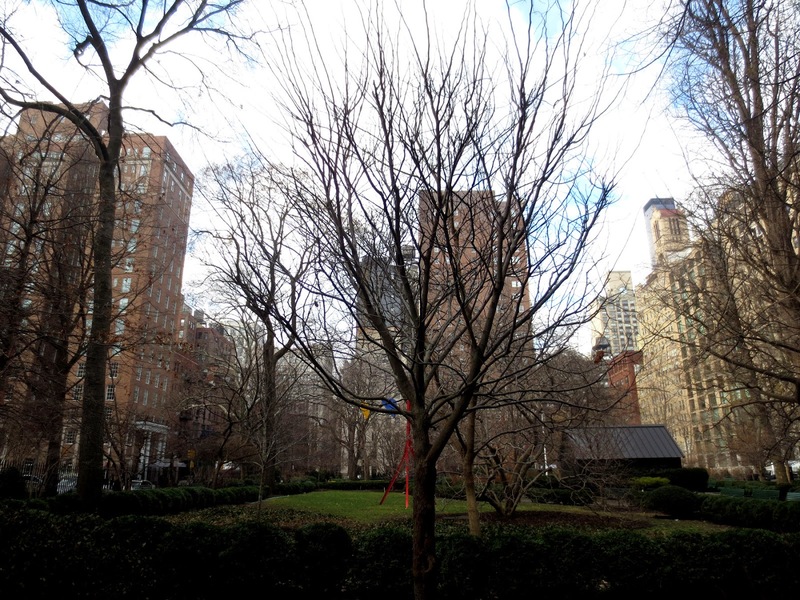 Gramercy Park is held in common– by the owners of the 39 surrounding structures. 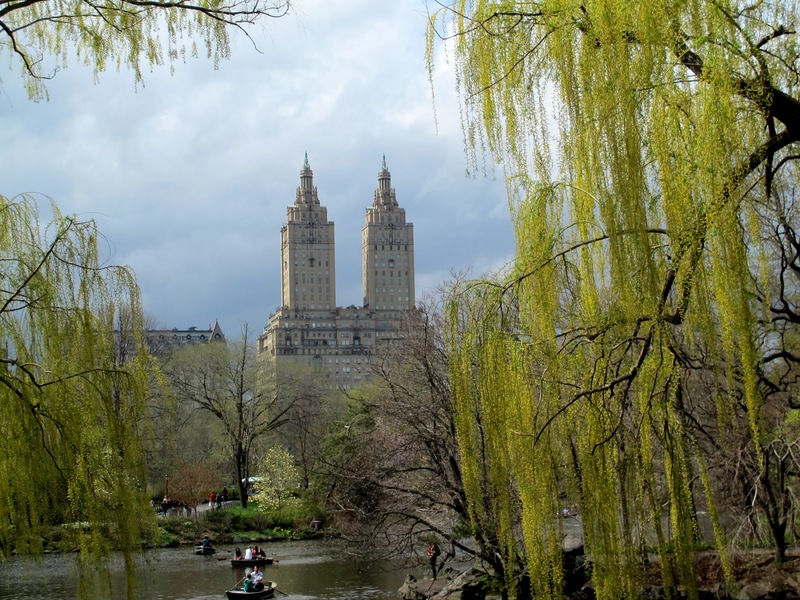 At one time, the park was open to the public on Gramercy Day – which changed yearly, but was often the first Saturday in May. 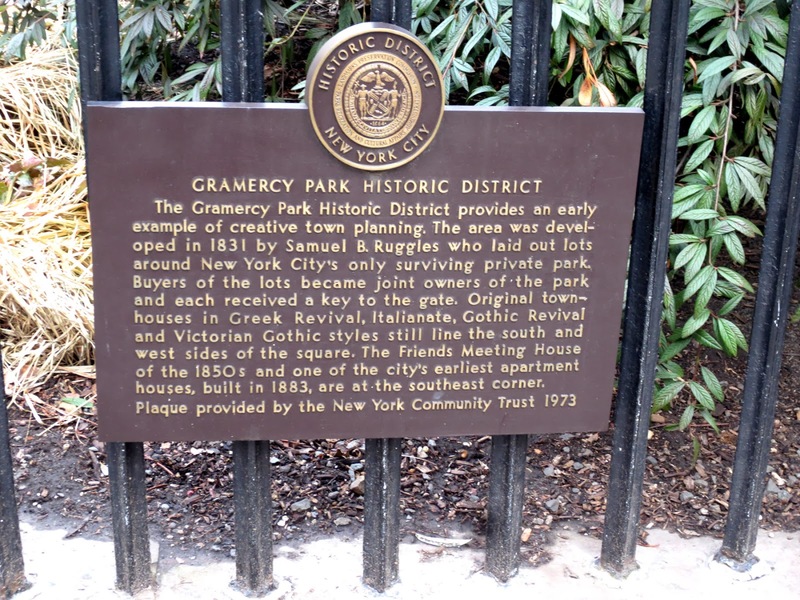 In 2007, the trustees announced that the park would no longer be open for Gramercy Day because it "had turned into a street fair". 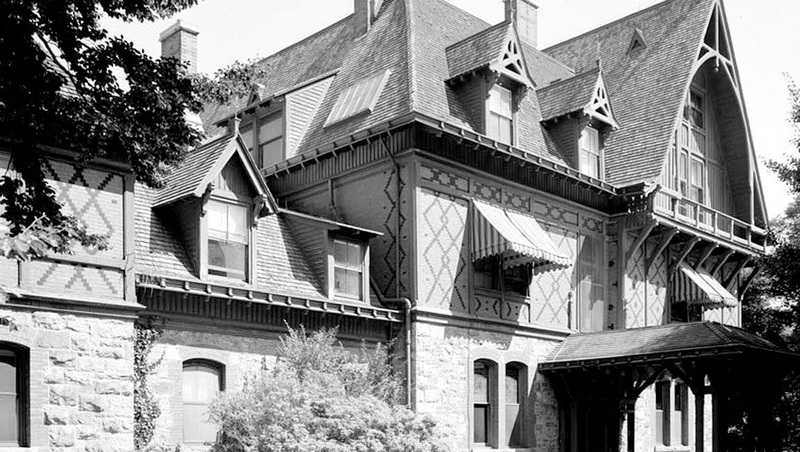 The neighborhood was recognized as a historic district in 1966; also in 1966, properties on the east, west and south sides of the park were designated as landmarks. Two keys are allocated to each of the original lots surrounding the park, and the owners may buy keys for a fee, which was originally $10 per key. One hundred and fifty years ago, the first keys to the two-acre park were made of solid gold. Now they are made from a nickel alloy. Manufactured especially for the Gramercy Park shareholders by Medeco, the key is distinguished by an interesting intangible: It is virtually impossible to duplicate. The locks are changed yearly. There were 383 keys manufactured for park users in 2012. The key costs $350 per year. If you lose a key you have to pay$1200 for the replacement. Lose it again, and the next one costs $2,000. The park rules are very harsh: no dogs, no alcohol, no smoking, no bicycling, no hardball, no lawn furniture, no Frisbees, and no feeding of any of the birds and squirrels. The residences with park access are valued 10 percent higher than Gramercy-area properties without it. If you are not a resident there few ways for you get inside the gates. You can book a room at the Gramercy Park hotel, which has 12 keys for guests to use. But please remember that the guests of the Gramercy Park Hotel are not allowed into park unless accompanied by hotel staff. Or you can join the church, synagogue, or one of the arts clubs (as National Arts Club) that adjoins the park . In 2001 the president of the National Arts Club Aldon James brought about 40 children, mostly minorities, into the park from the nearby school. 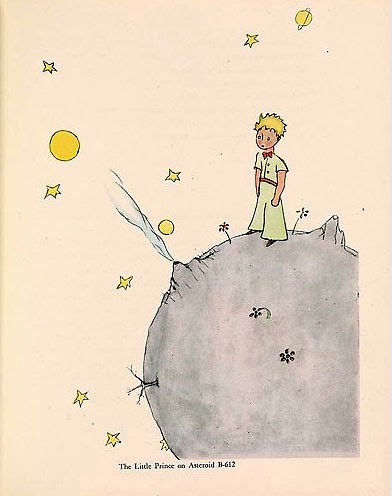 The trustee of the parkat the time, Sharen Benenson, called police alleging that the children were trespassing. The police refused to take action. Later, a suit was filed against the park's administration in Federal Court. The suit was settled out of court in 2003. Most of the children settled for $36,000 each, while one received $50,000. 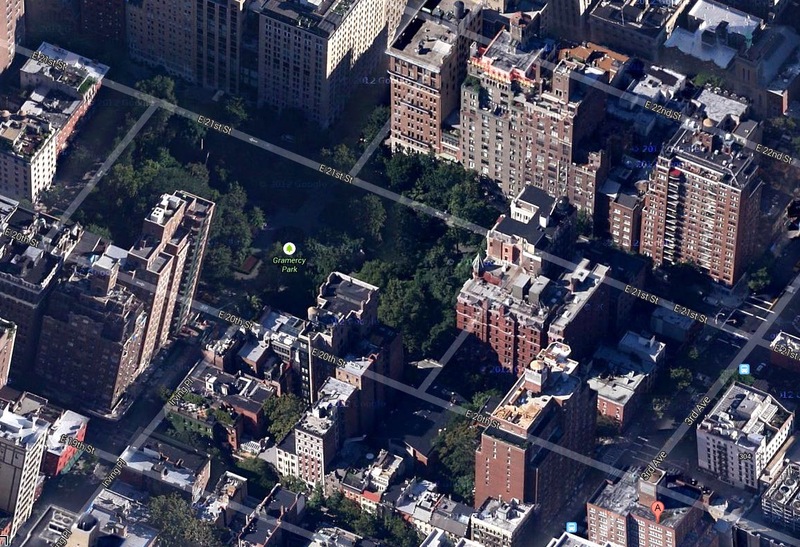 Real Estate from New York Times: That’s Some Key: How Do You Get a Key to Gramercy Park? Over the last five years there is a design competition for a new sculptural Valentine by an emerging architectural or design company. In 2012 there was a giant red heart that started beating while touching. In 2013 there was a large heart-shaped radiator. 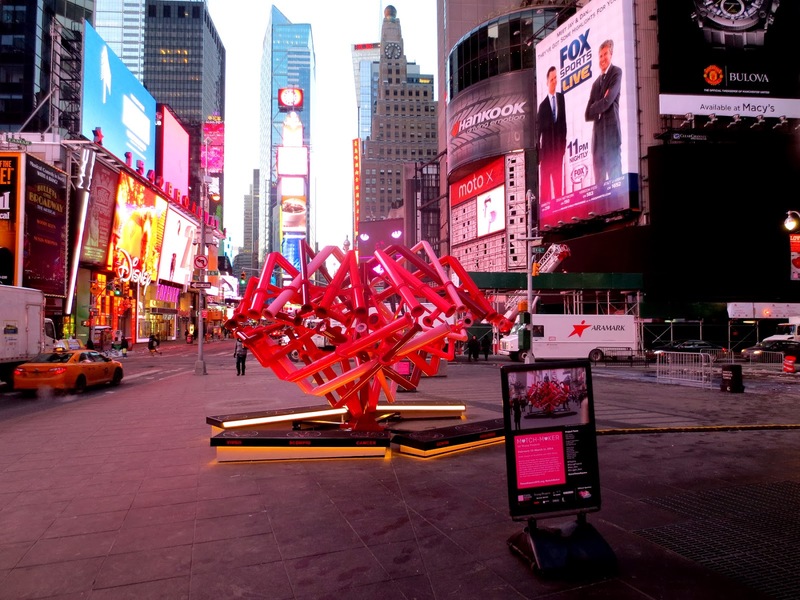 This year Times Square Arts selected Young Projects' Match-Maker as the winner of the 2014. There are 12 zodiac signs surrounding a complex structure that forms a symmetrical heart. The structure is titled ‘Match-Maker’. 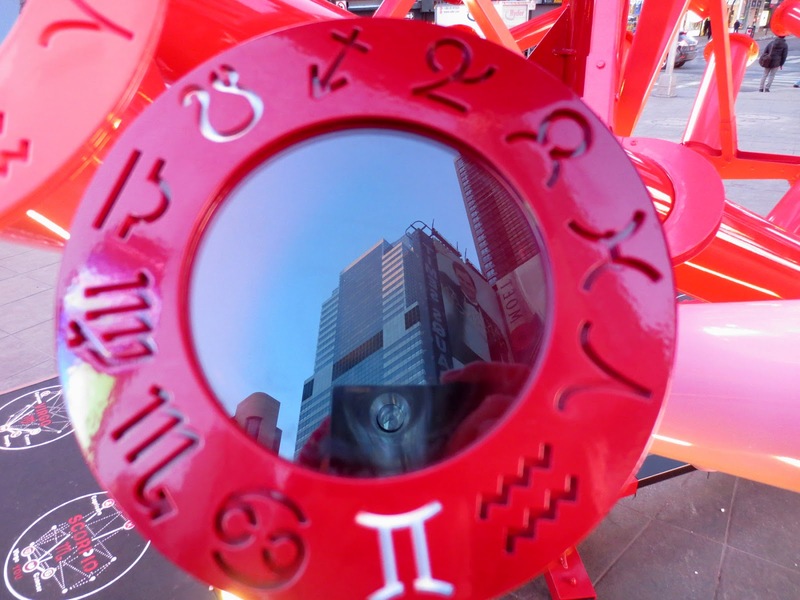 When viewers stand on their zodiac sign, their four most ideal astrological mates are revealed through periscopes, creating the opportunity for new encounters. 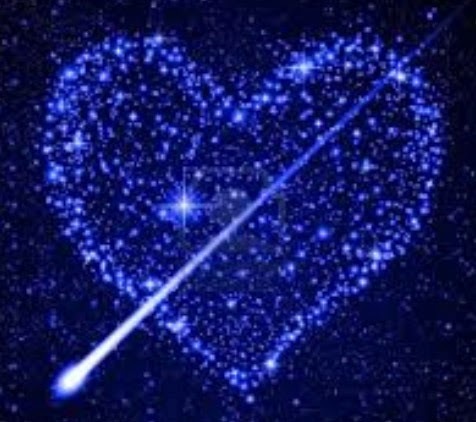 “I can tell you from personal experience, there is such a thing as love at first sight! In an era of digital communication, our design takes a decidedly analog approach to viscerally connect strangers and reaffirm compatibility between old partners. 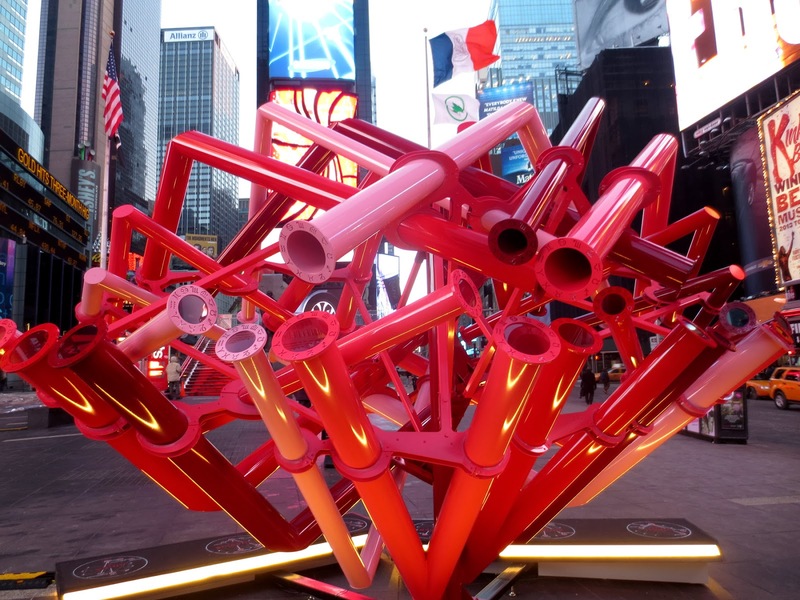 We are extremely honored to have been chosen by the jury for the 2014 Valentine Heart and are excited to realize the piece in collaboration with Brooklyn-based fabricator Kammetal." said Bryan Young, Principal of Young Projects. 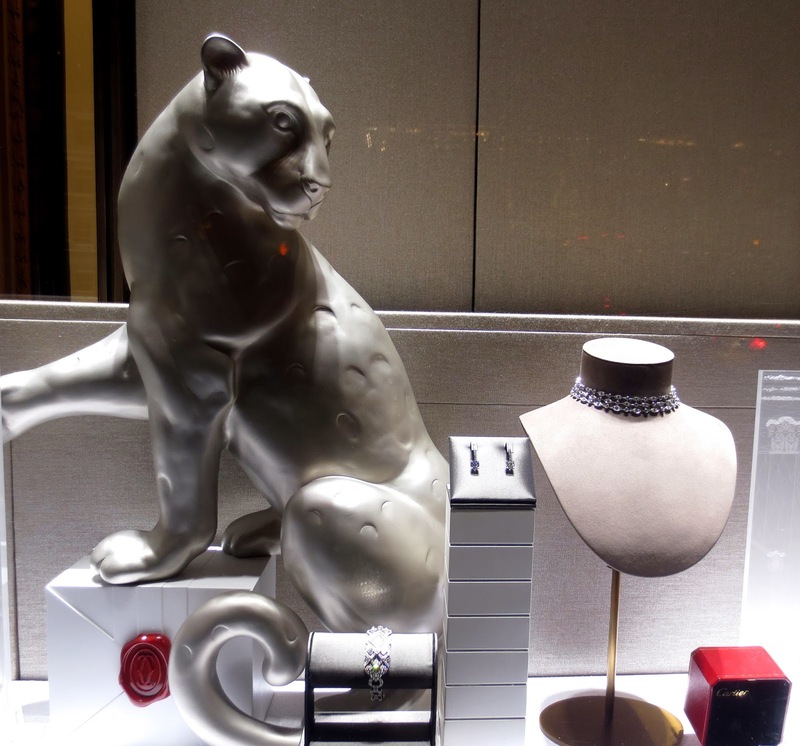 Cartier on 5th Avenue: Pearl necklace for the house. 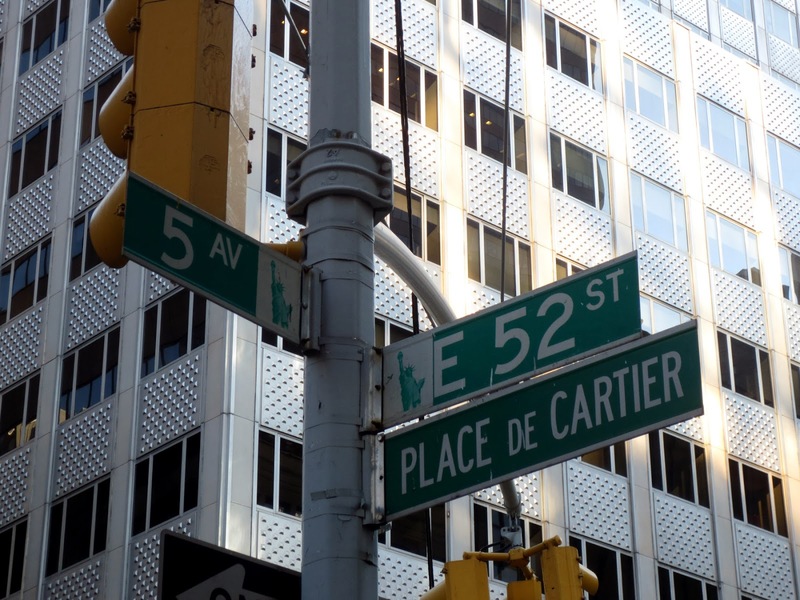 At the turn of the last century Fifth Avenue in midtown was known as "Millionaires' Row." 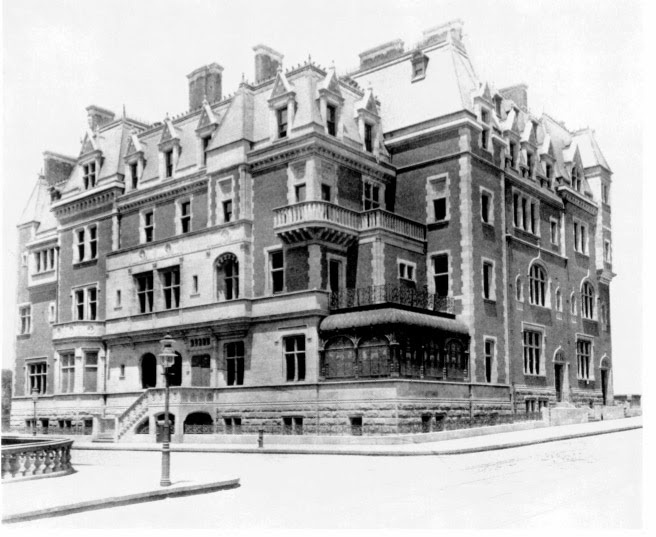 In 1902 William K. Vanderbilt offered the corner lot at 52nd Street and 5th Avenue for sale. His own magnificent mansion was diagonally across the street from the lot. Vanderbilt did not want to see any commercial development so close to his home. Morton F. Plant, the son of railroad tycoon Henry B. Plant, purchased the land, agreeing to Vanderbilt's stipulation that it could not be used for commercial purposes for 25 years. Over the next three years, Plant, and his wife, Nellie, built a six-story, marble and granite, neo-Italian Renaissance-style mansion. In 1913, Nellie Capron Plant, Morton's wife of 26 years, died. Less than 10 months after the death of Nellie Plant, Morton Plant announced his engagement to Mae Cadwell Manwaring. Plant was 61 and Mae- 31. 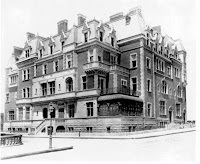 Shortly after their marriage, Morton and Mae Plant decided to sell the mansion on the corner of 5th Avenue and East 52nd Street - they disliked the rapid commercial redevelopment nearby. The couple bought a lot on the northeast corner of 5th Avenue and 86th Street and built a six-story building, with 100 feet of frontage overlooking Central Park. The house on East 86 does not exist anymore- it was demolished. 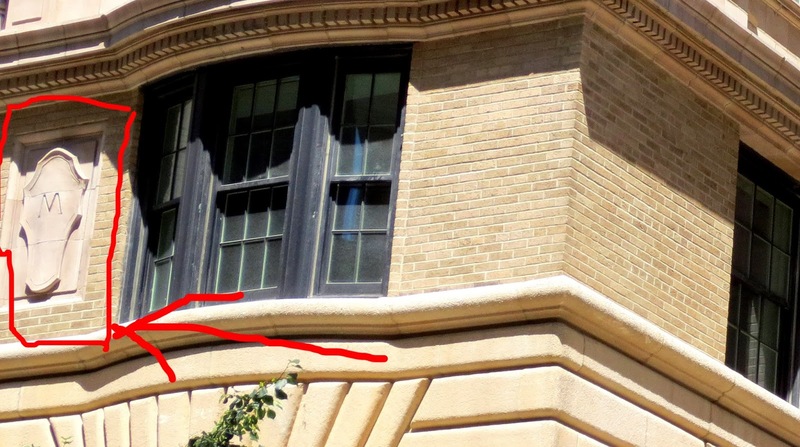 In 1960 a 19-story, beige-brick apartment house ( 1050 Fifth Avenue) was built on this lot. 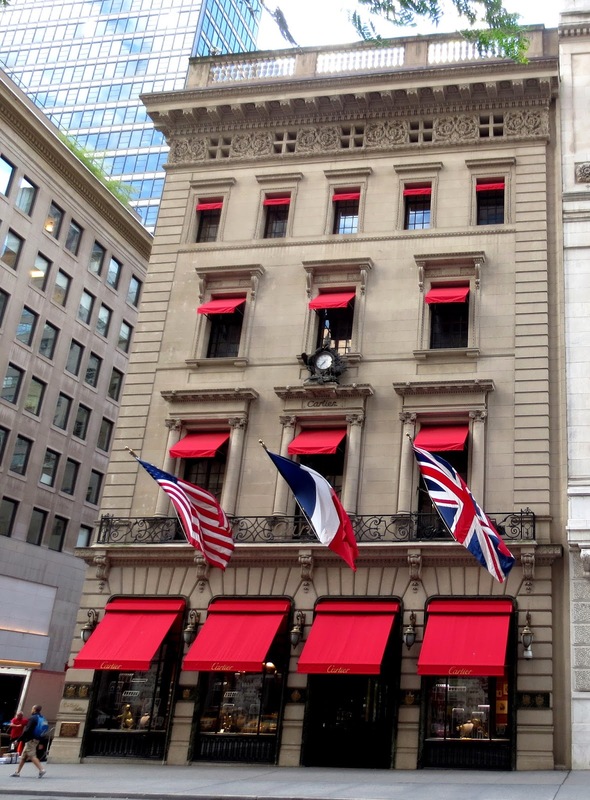 Cartier is well known for its jewelry and wrist watches. Cartier company was founded in 1847 in Paris when Louis-François Cartier inherited the jewelry workshop from his master Adolphe Picard. 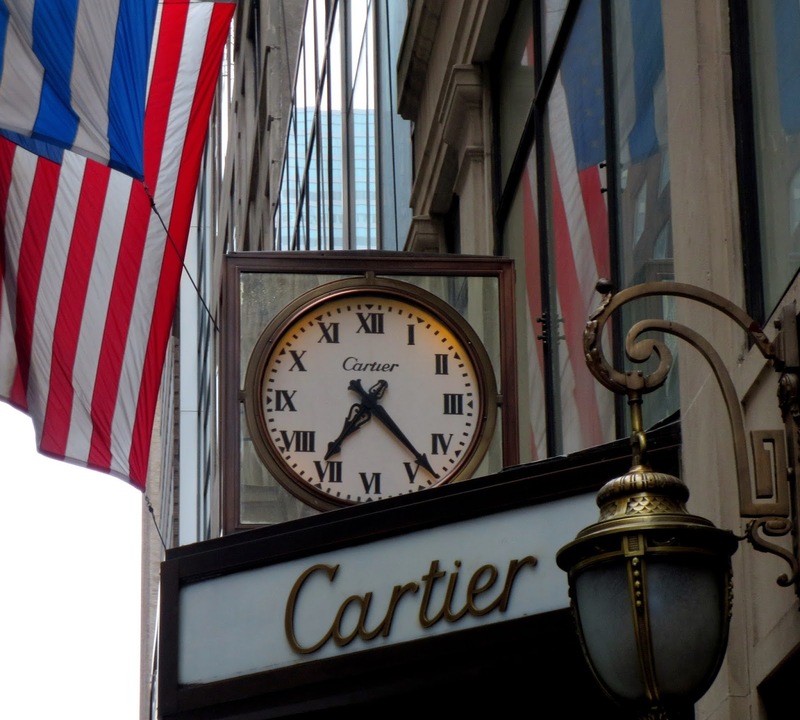 King Edward VII of England referred to Cartier as "the jeweler of kings and the king of jewelers” . 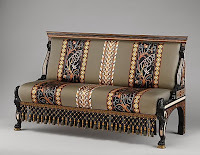 In 1907 Cartier held its first exhibition and sale in Saint Petersburg (Russia). 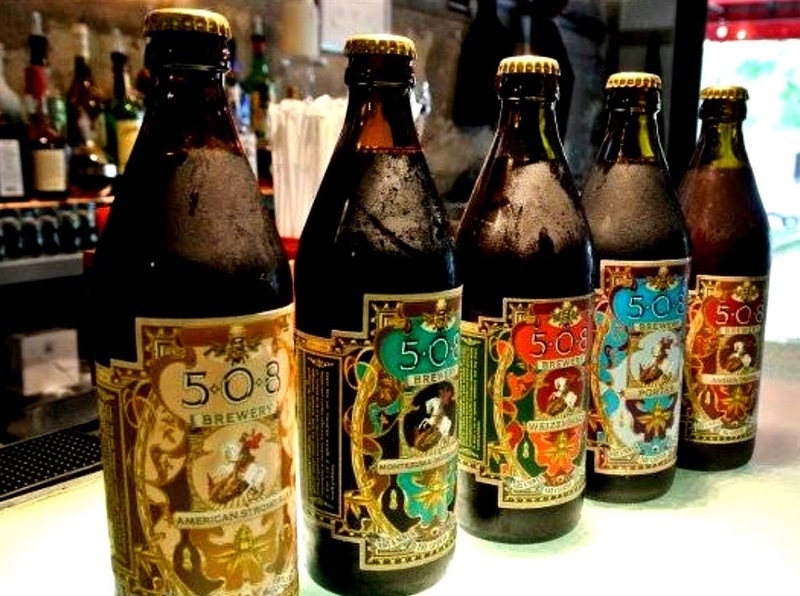 Shortly after, it was appointed as official purveyor to Tsar Nicholas II of Russia. In 1910. Cartier bought a “Hope Diamond” for 550,000 francs ( about $100.000) and sold it in 1911 to Ms. McLean for $300.000. In 1949 after her death the diamond was sold to New York diamond merchant Harry Winston- you can read about him in one of my posts. In 1915 Louis Cartier place his first natural, double-stranded Oriental pearl necklace costing $1.2 million on exhibition all over the world including Paris, London, and New York City. Mae Plant had great admiration this necklaces and her husband arranged a deal to sell the mansion on East 52nd Street to Pierre Cartier for $100 and this double strand pearl necklace. The value of the necklace decreased significantly after the advent of cultured pearls. Mae died in 1956 and the necklace was sold at an auction in 1957 for a mere $170,000. 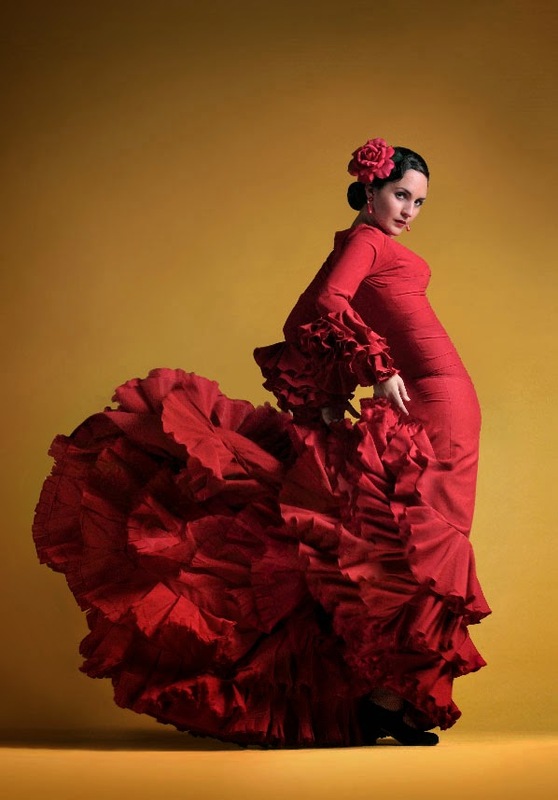 In recent times, however, natural pearls have seen a resurgence of desirability. The famed Baroda Pearls, a double strand of 68 natural pearls, being sold at auction at Christies in 2007 for a record $7.1 million. 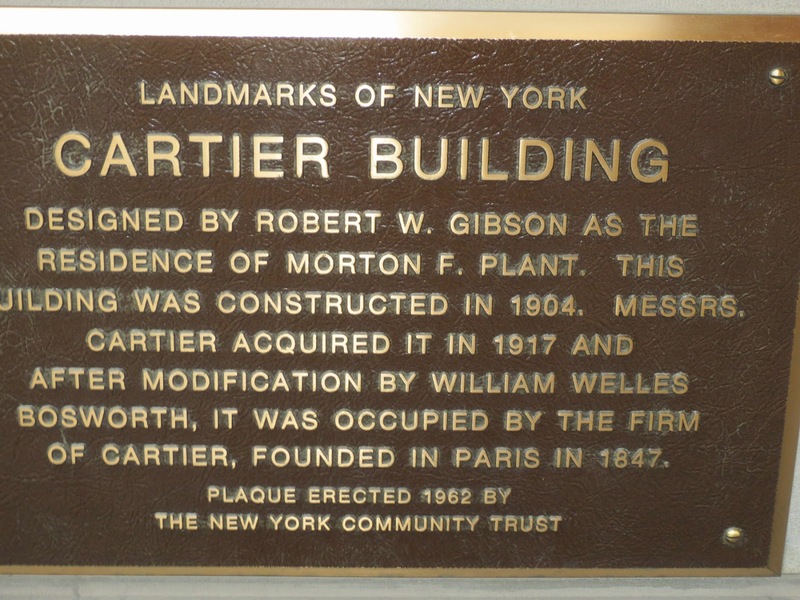 Pierre Cartier established the New York City branch in 1909. He moved to it’s current location in 1917. The Rockefeller family architect supervised the transformation. The addition of the New York brunch turned the company into a worldwide institution. Marilyn Monroe sang "Cartier!" in the film "Gentlemen Prefer Blondes". 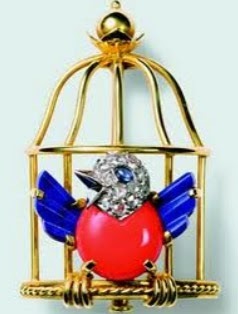 In 1942 Cartier created the "Caged Bird" brooch as a symbol of the Occupation. In 1944 the "Freed Bird" was created to celebrate the Liberation of France. 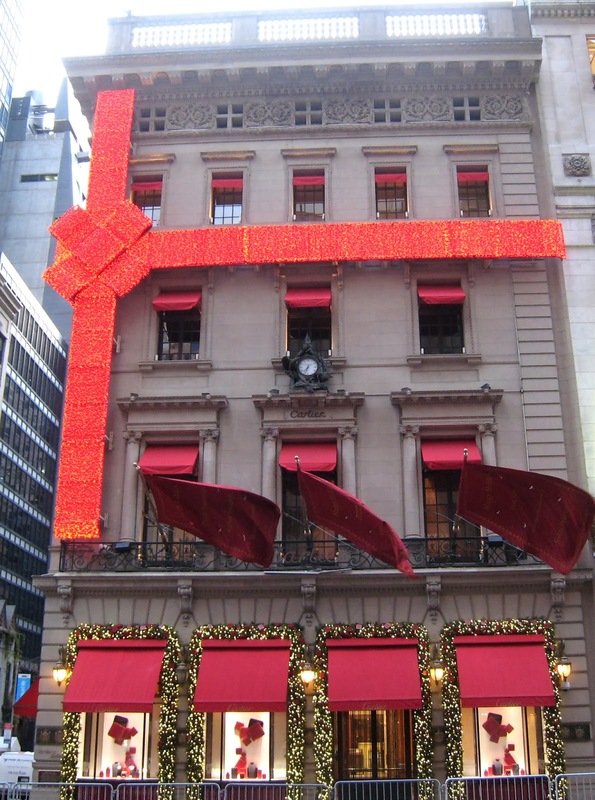 Started from 1979 every year Cartier house in New York is adorned for the holidays with a red bow and ribbons that wrap up the building. Five suspects with hammers entered the store and 52nd Street at about 12:30 p.m. on January 30, 2014 , smashed open a glass display case. Police said they made off with 16 watches worth more than $700,000. As of February 2, 2014 two of the five bandits have been busted, cops said.